The Harry Potter series is more than just a story about a young wizard who saves the world from He-Who-Must-Not-Be-Named. The seven-book saga is an excellent primer on spying, intelligence, and politics. Join spy novelist Lynn Boughey and thirty-six-year CIA veteran and executive director of the International Spy Museum Peter Earnest as they review the spy craft employed and celebrated in J.K. Rowling's bestselling books. 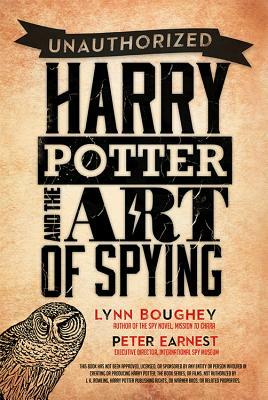 From the invisibility cloak to house passwords to Fred and George Weasley's Extendable Ears, Harry Potter & the Art of Spying is full of spy lessons for the secret-agent-in-training in the Muggle realm. Learn how to break secret codes, gather intelligence, read character's motives, and why Severus Snape is the best double agent ever.